Website includes information on destructive termites, termite control options, termite inspections, termite baits including exterra, nemesis, and sentricon. Based on USA and Australian field trials and laboratory testing, a Termidor treated soil barrier should remain termite control effective for 5 to 10 years in a variety of situations, if it is correctly applied at the rate required by the registered label. 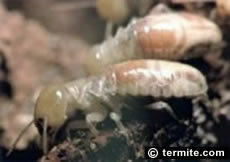 This means long term protection from termites afround your home. SAME FAMILY BUSINESS SINCE 1964 FUMAPEST is a second generation family business. After 50 years of providing pest control services in the Greater Sydney, Central Coast and Illawarra regions, we have a valuable reputation in the marketplace and have acquired a wealth of knowledge and experience, unmatched by our competitors. Accredited APCA Member FUMAPEST is an Accredited Member and major supporter of Australian Pest Control Association since 1987.